I have been trying this fake tan out for a few weeks now, every time I wear this I get compliments on how golden I look. I have seen this brand previously but I have tended to stay away from tan in a mousse form as I have thought this would be tricker to apply in comparison to a liquid or a cream. I had fears of it leaving my skin more streaky or missing patches. The first thing I noticed with this product was the smell, most fake tan as a certain scent. I think usually smells of biscuits a custard cream or a rich tea. 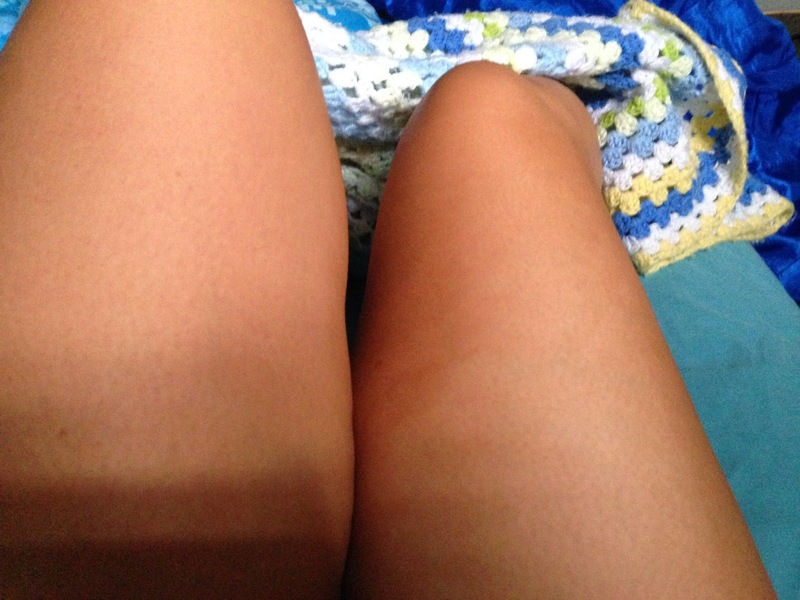 With this fake tan I noticed there was no smell, which I love. I think fake tan should be subtle so with the wafting scent of fake tan is usually a big giveaway that your faking that tan and nobody wants a biscuit scent floating around on a night out. The mouse was easy to apply and did rub in easily into my skin, I found with this product I did apply a little a time as I was worried the dark shade may make me look a little orange. After application It did start to dry instantly, which is perfect as there is nothing worse than standing in your bedroom naked waiting for yourself to dry off. I did miss the side of my warm when I looked the mirror but I applied a little more and I was then streak free. I tended to apply this before the night before I went out as I find sleeping in the tan and washing off in the morning lets the tan soak into your skin, which means it will last longer. The tan lasts for 4-5 days, I found it starts to fade after the third wash, which you could let it fade or exfoliate and re- apply. This is the second day after applying and washing off and it still is a nice golden colour. Nkd Skn can be found in Superdrug £14.95. I have always loved the colour of NKD, it never looks fake.